Will a duel partnership solve the “Battle for Texas”? The “Battle for Texas” may be a popular Overwatch League rivalry, but both sides of the Lone Star state are coming together under a partnership with GameStop. Team Envy, owners of the Dallas Fuel, and Infinite Esports & Entertainment, owners of the Houston Outlaws, are both partnering with GameStop. Both Fuel and the Outlaws fans will be able to enjoy game clinics with players, live watch parties in Texas, and more. This partnership may seem strange to Overwatch League fans. The rivalry between the two Texas teams was one of the biggest story lines in the inaugural season and has continued into this year. The first away game event, hosted in Dallas at the end of April, touts the Fuel and Outlaws game as the main draw for fans. While the implications for Overwatch are a little weird, it makes sense from a business standpoint. Team Envy and Infinite Entertainment own multiple teams across many different esports, not just the Overwatch League. This partnership affects those teams as well, without the added bonus of muddling the waters of a “rivalry” within a league. Rivalry or not, the real winners here are fans of both teams and especially Texas locals; Envy and Infinite have committed to hosting live, local events for gamers. The Houston Outlaws partnership aims to bring “top-tier Overwatch instructional content” to Texas GameStop stores, according to their press release. Gaming clinics will feature Houston Outlaws players and new digital events will cater to fans of the team. Locals in Houston, Austin, and San Antonio will have more access to live watch parties in partnership with GameStop. The Dallas Fuel, and Team Envy as a whole, will also be working on gaming clinics as well as contests and sweepstakes. Dallas Fuel head coach Aaron “Aero” Atkins and assistant coach Justin “Jayne” Conroy will be participating in live clinics for GameStop, according to their press release. 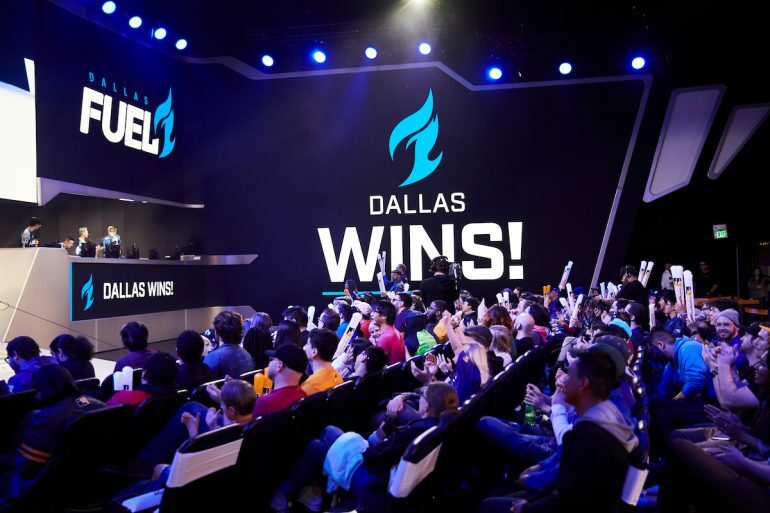 Live watch parties and player meetings are also on deck for Dallas Fuel fans, especially Texas locals. Thanks to this new partnership, this season’s “Battle for Texas” may be over which team can get the most fans into GameStop stores.